James Western went to the Sports Centre to see if Lancaster could continue their winning ways against a tough Manchester team. 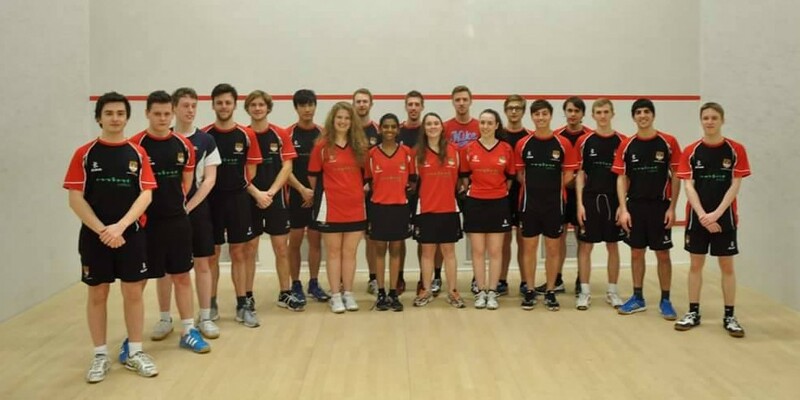 The men’s squash team’s unbeaten start to the season came to an end on Wednesday 4th, following a 3-2 defeat to Manchester 3rd’s. Marcus Lynn was first on court, but unfortunately couldn’t get Lancaster off to a winning start. At times Lynn played some good aggressive strokes, especially in the second game, which at one point was 10-10. However a few unforced errors at the crucial moments took the game, and eventually match, out his hands. Focus then turned to Michael Sherratt, who was determined to draw things level. Up against tough opposition, Sherratt showed great mental strength to win the second game, after conceding the first. Momentum in the match continued to swing from player to player, until it was clear that we were heading into a fifth game decider. With both players exhausted, the pace of play slowed, and became inevitably more tactical. Whilst close early on, Manchester eventually opened up an unassailable lead, taking the decider 11-7. Edison Wong was next to play, and with Lancaster 2-0 down, he needed to win for the team to stay in contention. Wong was positive right from the off, playing powerful shots to the back of the court, that his opponent simply couldn’t get back into play. Moving well around the court, Wong was able to take the first game 11 points to 8 with relative ease. This dominance continued in the second, conceding just 2 points, and he then rounded the match off with an 11-8 win in the third. The contest was still alive. With renewed confidence, it was over to Mike Wray to try and level things and take it to a decider. It was clear from the start that the match was going to be a lengthy battle, with both players seeming evenly matched. Control of the opening game switched back and forth, until eventually Wray edged out his opponent to take it 13-11. The quality of the following two games was equally high, with epic rallies of 20-30 strokes throughout. However Wray went on to lose both, and was now up against it. Despite his best efforts, his Mancunian counterpart held his nerve to finish the match in the fourth, meaning a Lancaster victory was now out of reach. Despite effectively being a dead rubber, the final game of the day was nevertheless entertaining. Lancaster’s Chris Bately controlled the game from the very beginning, and ended up winning convincingly, 3 games to love, to restore some pride for his talented side. Assessing the performance, Lynn notes that “it was a tough match against a very strong side. All the games could have gone either way.” The result means Lancaster are now mid-table in the BUCS Northern 2A league, but with only 3 games played, there’s still a real chance of promotion. The team now go on to play Bradford in the cup, and Lynn has high hopes Lancaster get back to winning ways. “We are still optimistic about the season, and are determined to push for the title,” he concluded. Next articleAre 'trendy lefties' dominating campus discourse?